Back in December patrons of the David Zwirner Art Gallery in New York City lined up with wait times up to 8 hours for a chance to snap the ultimate selfie. 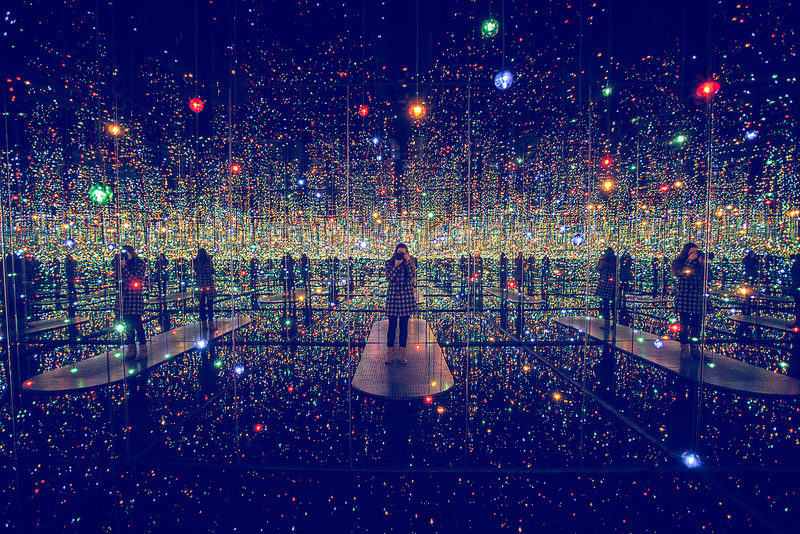 The exhibition was called ‘I Who Have Arrived in Heaven’. 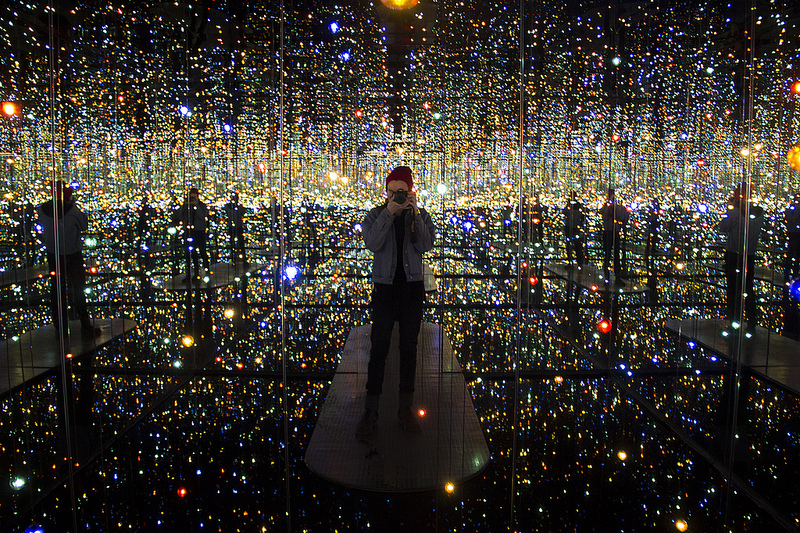 It was created by accomplished artist Yayoi Kusama. 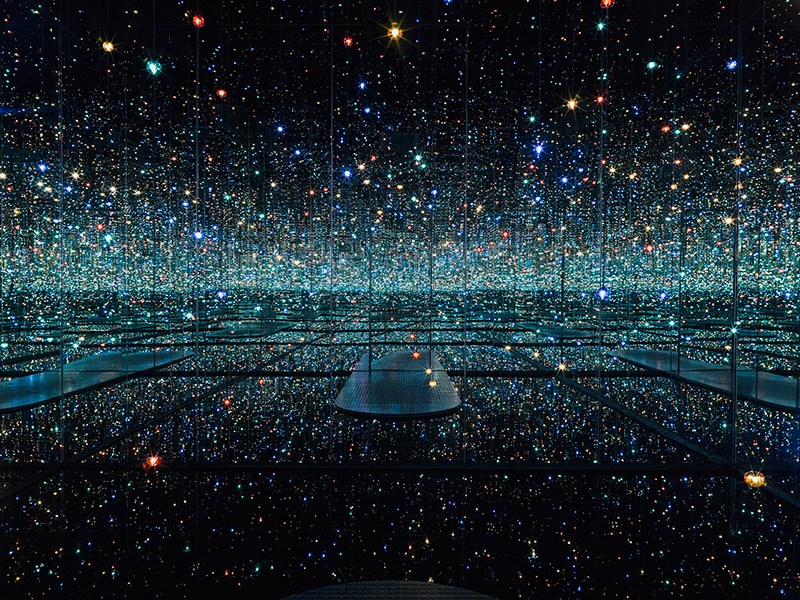 One of her installations was an incredible infinity room called ‘The Souls of Millions of Light Years Away’. The square room was outfitted with mirrored panels covering the walls, a reflection pool as the floor, and hundreds of small LED lights. Each patron was granted 45 seconds of alone time in the room. 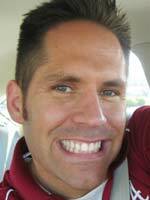 The result was a truly ‘brag worthy’ selfie. Check out the video cool images below.